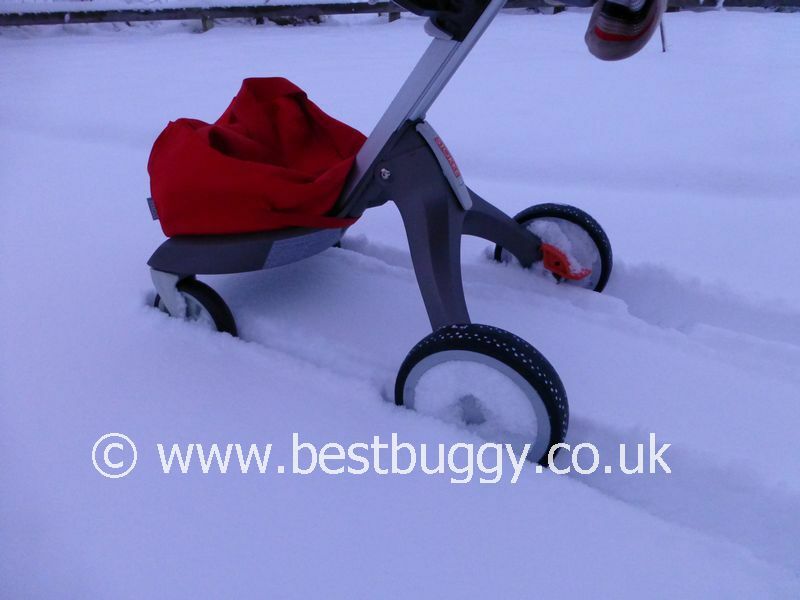 The Best Buggy Focus Group by and large (apart from one member) thought I had completely lost it, when I overlooked my all terrain pushchairs to take the Stokke Xplory out in fresh deep-ish snow! 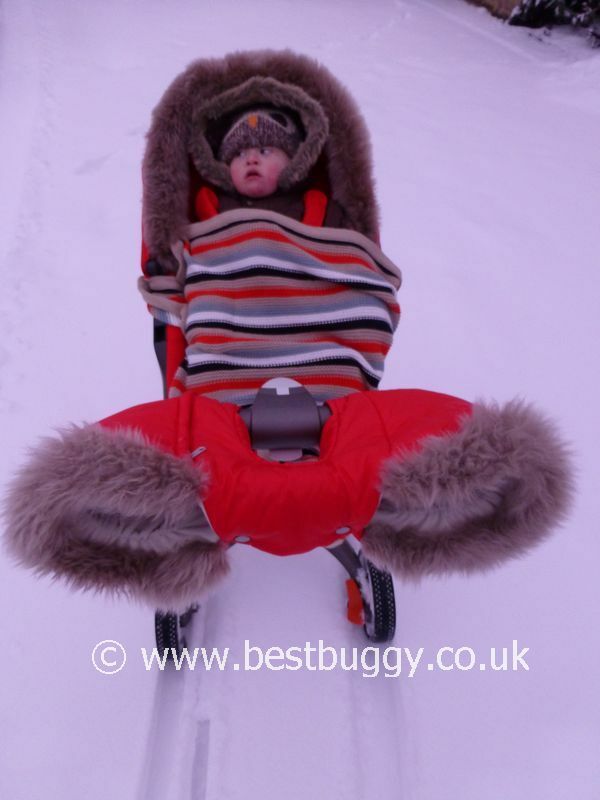 I admit, even I was skeptical, but experiments need to be done, and everyone told me the Xplory was good in snow! 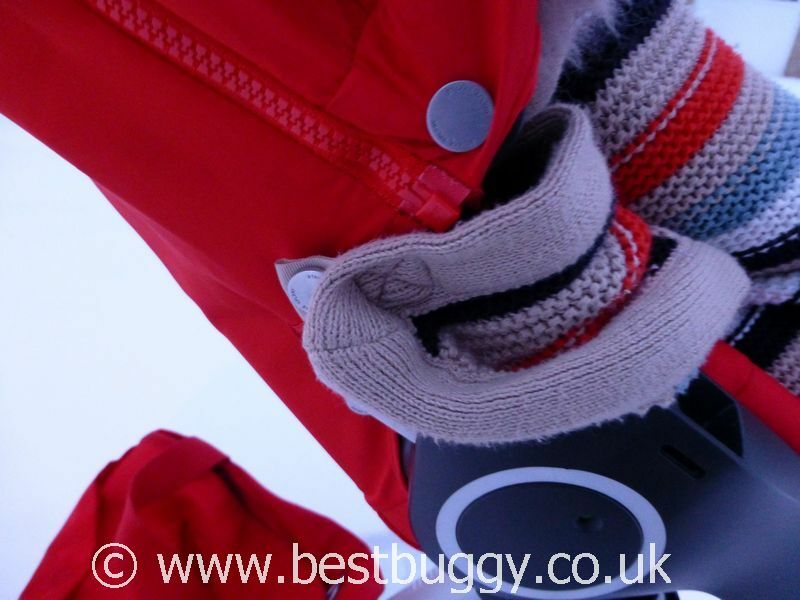 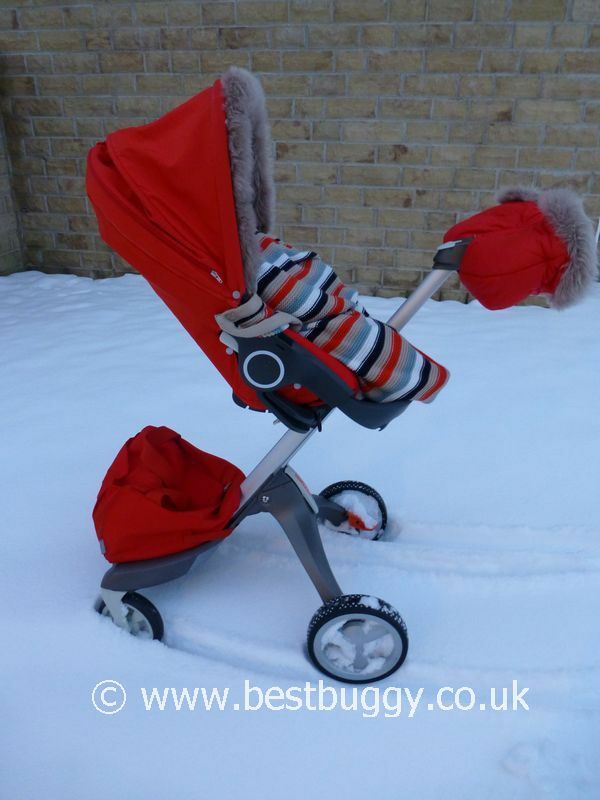 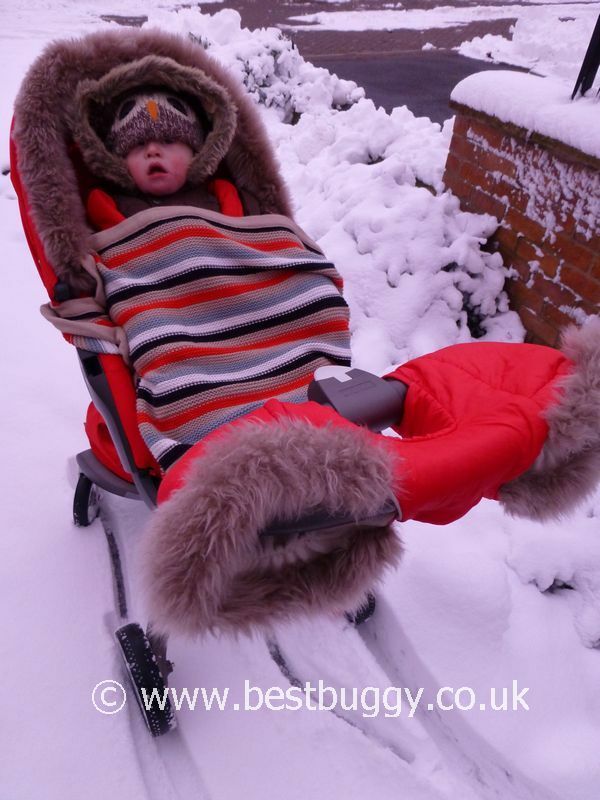 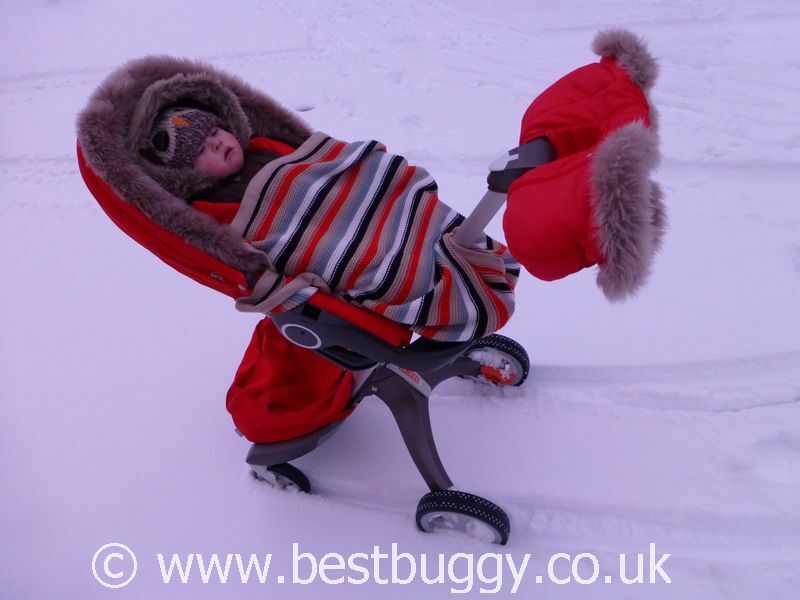 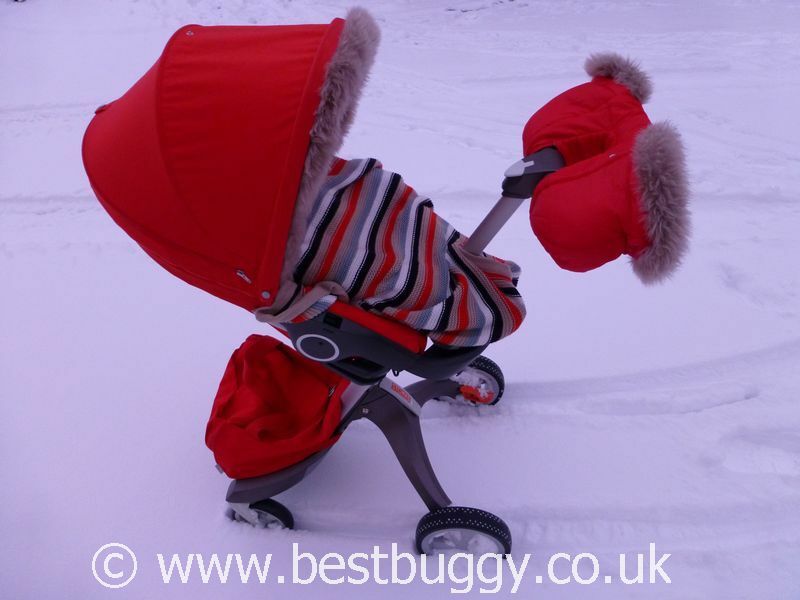 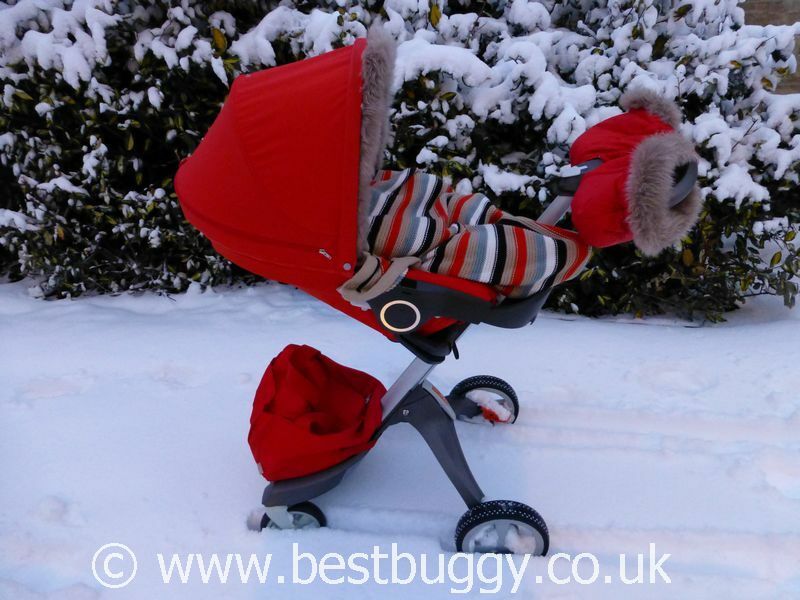 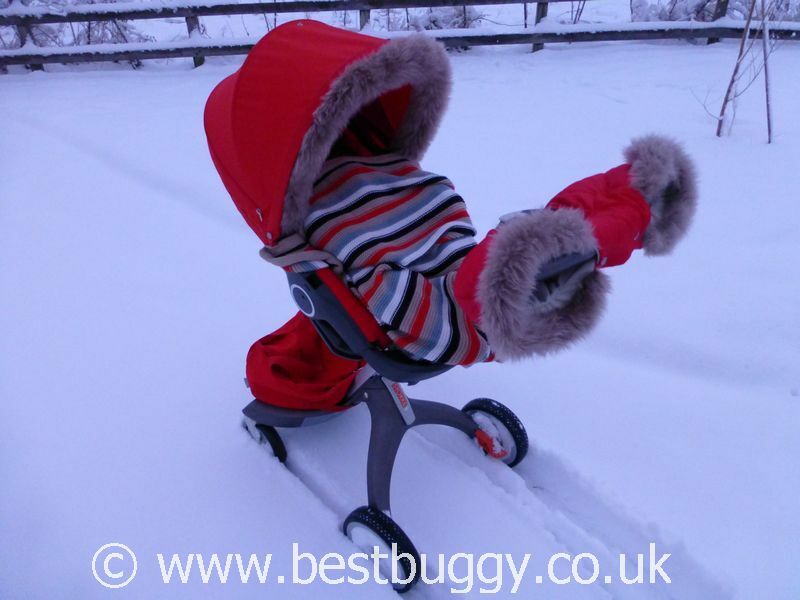 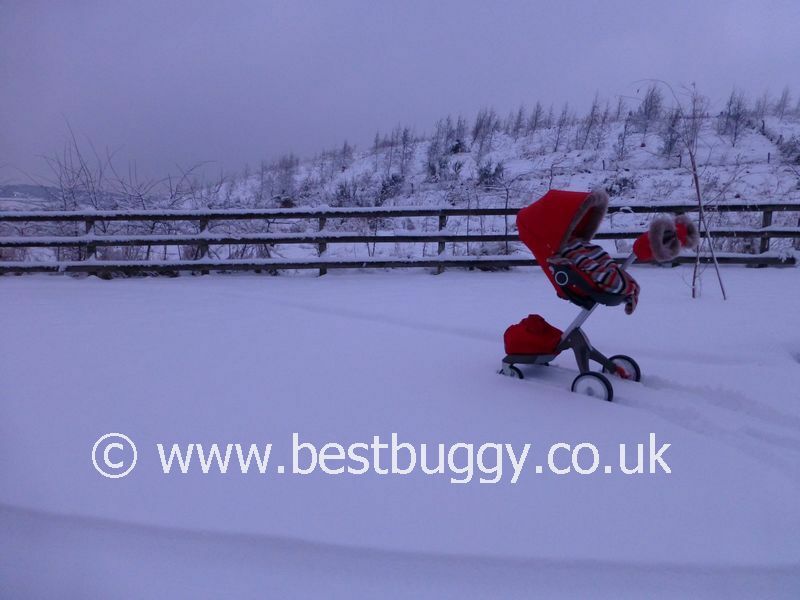 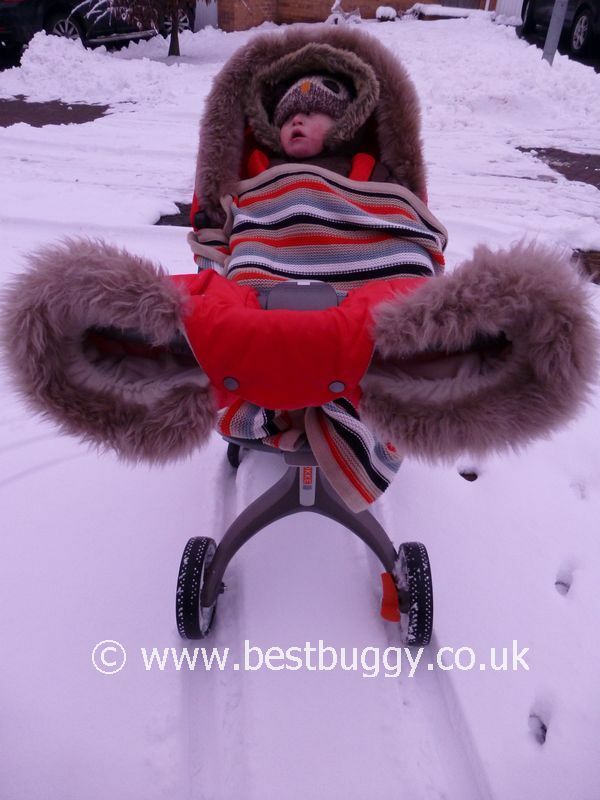 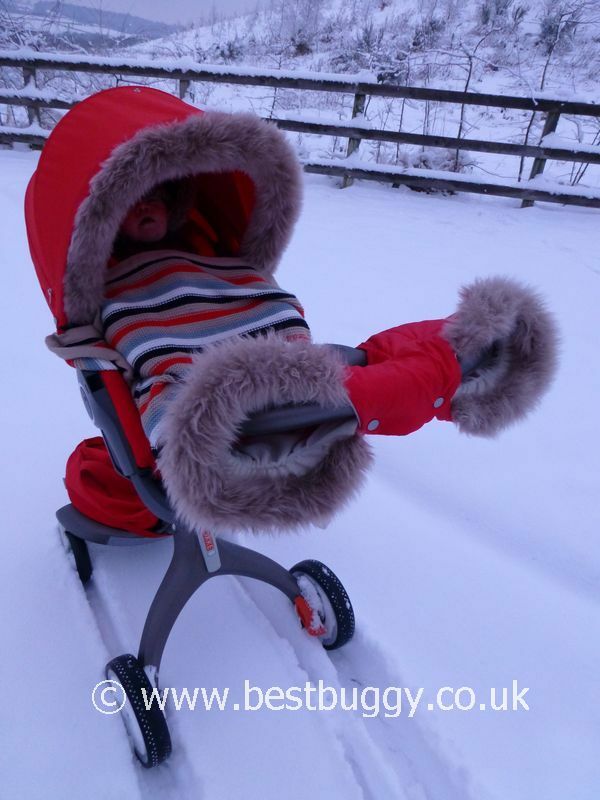 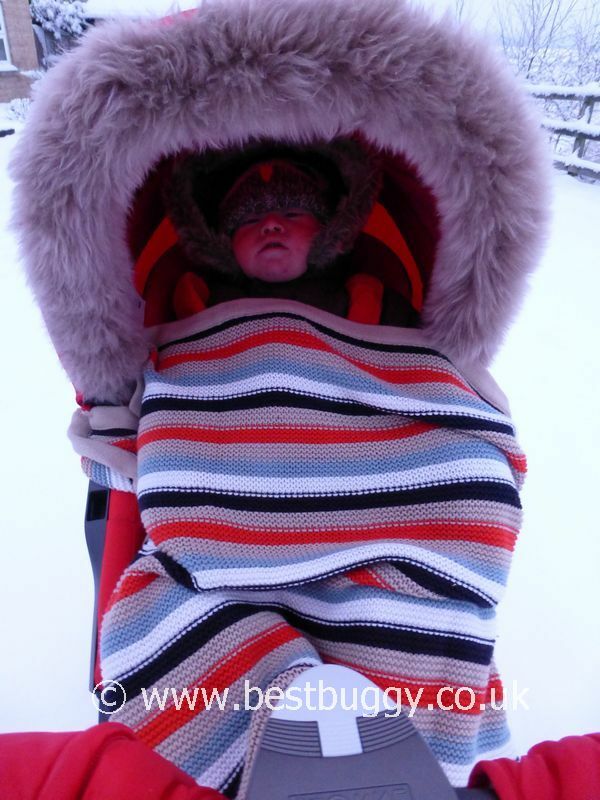 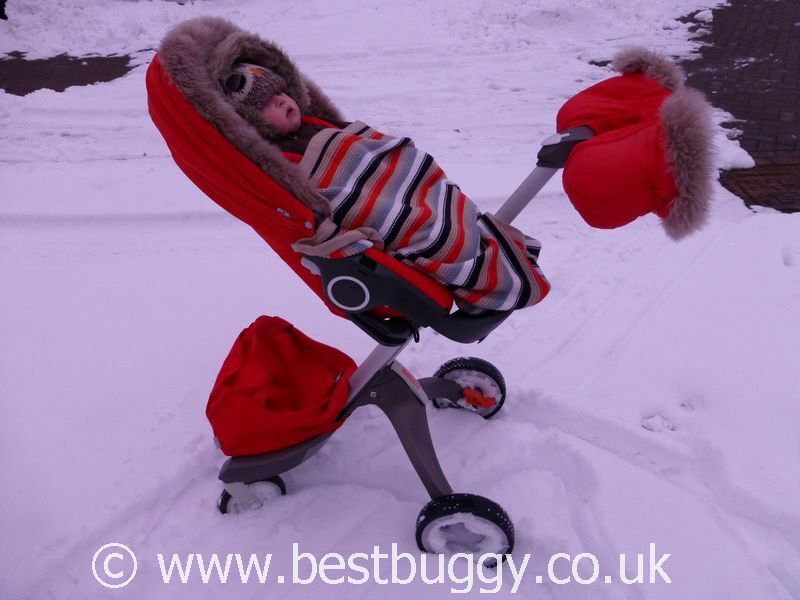 So out we went……and the Stokke Xplory handled the snow brilliantly. 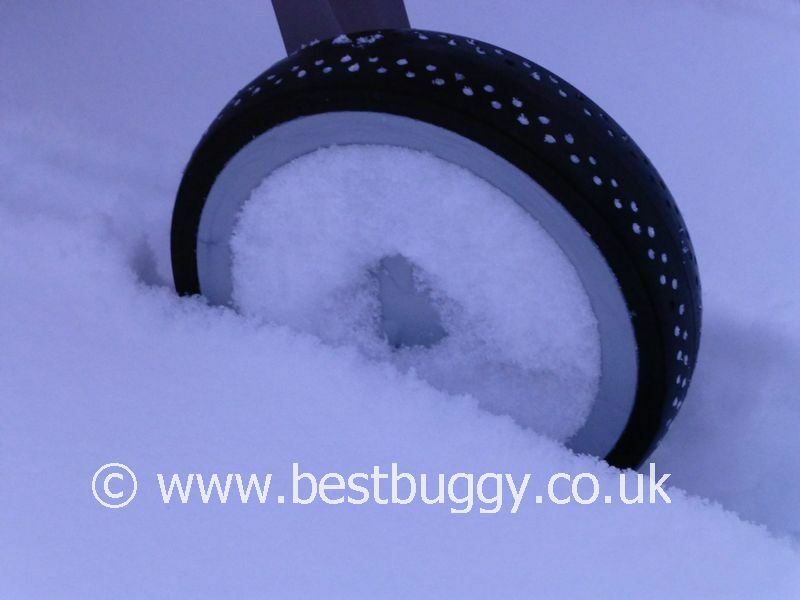 As the photos show, the snow almost covered the front wheels in places but the Xplory kept on going forwards. 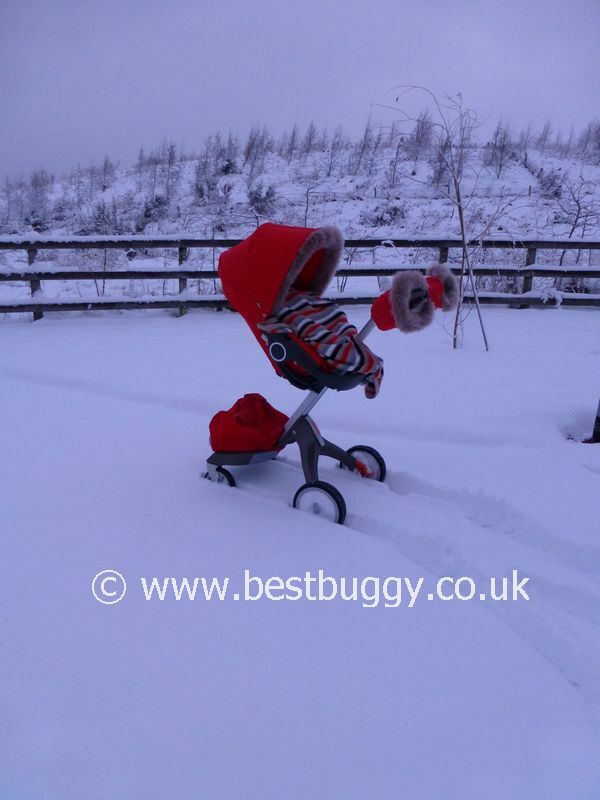 At no point did we need to reverse, or pull the Xplory, it just kept on going! 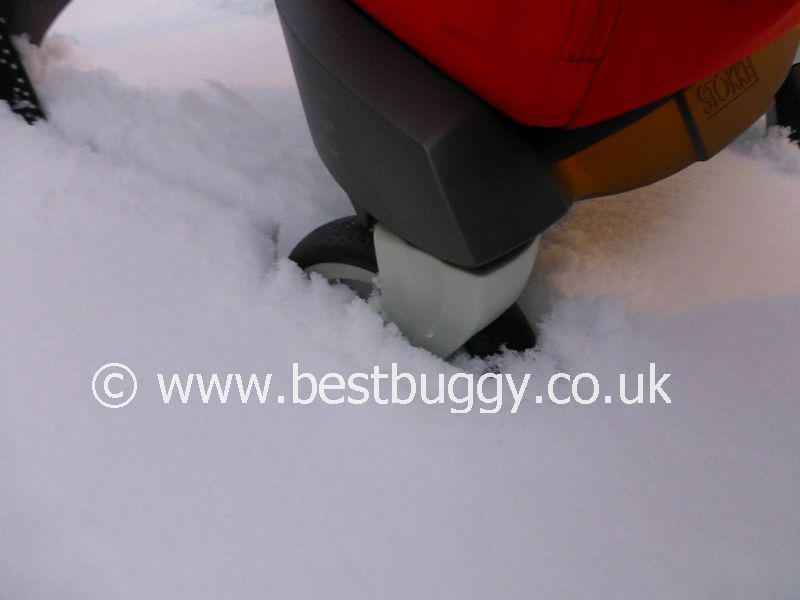 I guess worst case we could have kicked the Xplory into two wheel mode and pulled it, but there was no need for that. 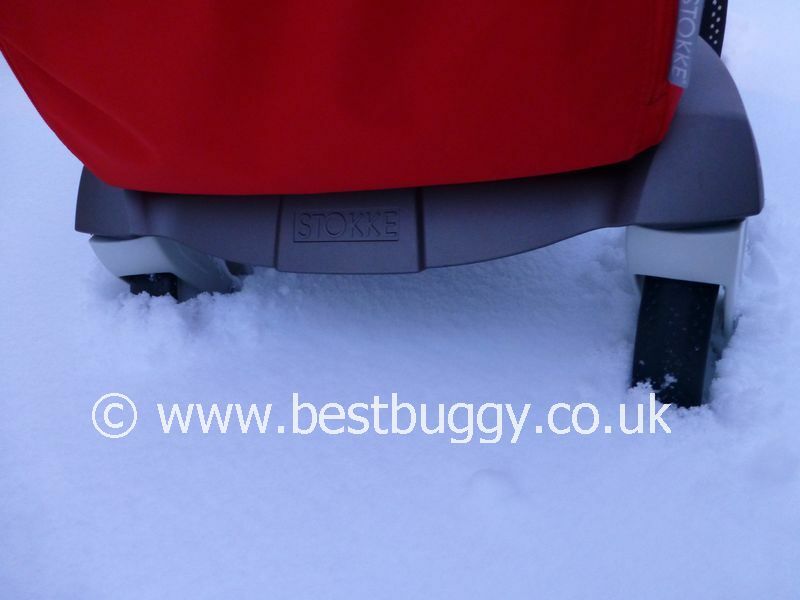 I can’t speak for how the Stokke Xplory handles more icy or compacted snow, but it did great through the several inches of fresh snow we had overnight here in the UK. 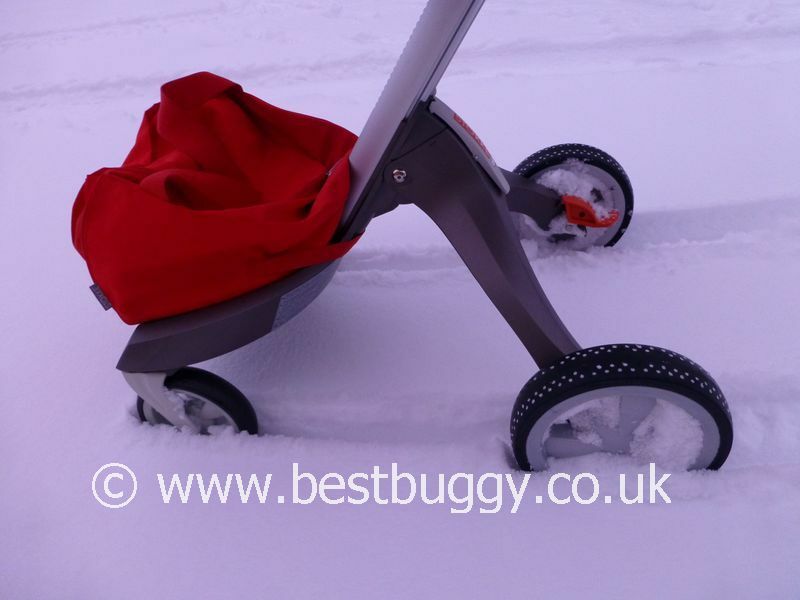 Oh and the member of the Best Buggy Focus Group who wasn’t surprised, said that her Xplory went through boggy mud and on the sand too!